Best weather for Malaga active holiday, walking, cycling or riding in the mountains of Malaga is in October, April and May. During these months, prevail moderate temperatures, it is usually sunny and warm and it rains only sporadically. Best weather for Malaga tours, museums, parks, culture, etc. is during the months of October through May. During these eight months there is the best excursion weather, with mostly pleasant temperatures for sightseeing and exploring the towns. It is not advisable to undertake such day tours in the hot summer months, since it can be very exhausting. A special treat offers Sierra Nevada, the southernmost ski resort in Europe situated 90 minutes by car from Malaga and the Costa del Sol. Sierra Nevada in Granada records with 1400 sun hours alone in the winter months as much sunshine as some places in the whole year. Thanks to the altitude of 3.315 meters the season lasts until May, when on the beaches of the Costa del Sol already prevail summer temperatures. The Mediterranean Sea can be seen glistening promisingly from the mountain station at Pico Veleta and on very clear days the view extends to the Mountains of Africa. 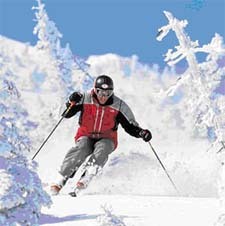 In fact, the first Spanish ski station to confirm the opening date has been Sierra Nevada in Granada, which during mid-week will confirm how many miles will be available for skiing for the opening of the season 2011/2012 on November 26.